Your Yard Care Specialists in McHenry County! Should You Hire Someone for Snow Removal? A snow-covered yard may look stunning and beautiful until you have to depart from your heated house and you have to deal with a driveway. Many homeowners break their backs shoveling. Hiring a professional snow removal company like Admiral Grow Green can save you a lot of your valuable time. 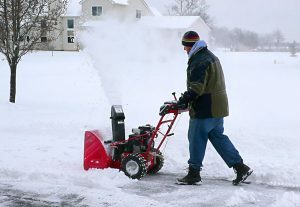 So how much does an annual snow removal contract cost in the Northwest Suburbs of Chicago? Longer or bigger driveways. Expect to pay more for a long drive or the area for a four-car garage. Additionally, we may charge more for dirt or gravel drives, as they take longer to clear and de-ice than concrete. Some Extras to Consider. Sidewalks or walkways, for instance — are included in the price. The Equipment Used. The type of equipment your team uses affects the contract price. The less time spent on your driveway, the less you will pay. 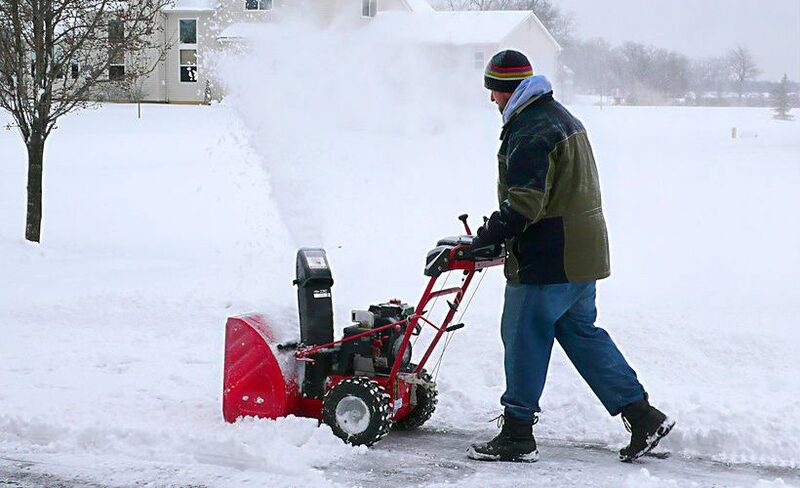 Snowblowers take less time than shoveling…but are not great for tight and closed-in areas. The Response time. How long it takes a company to respond is a big factor in snow removal and snow plowing! Some of our contracts can cover a specific number of clearings a season. If you need more than specified, expect to pay more for each added plowing. Our clients who had annual snow removal contracts in 2017 paid an average of $400, with a general range of $340 to $425. According to CostHelper, the cost for one person to shovel or snow blower can cost between $25 to $75 an hour. The cost to hire a company to plow a standard driveway after a storm can run about $40 to $65 per storm. Give us a call now at 847 807 4393 to get your snow removal quote for your driveway in Algonquin or the Crystal Lake area. Get a FREE Quote on your Job Right Now!! We Service Algonquin, Lake in the Hills, Crystal Lake, Huntley, Cary, Fox River Grove, Dundee, Carpentersville, Barrington, Lake Barrington, South Barrington, Sutton, Gilberts, Village of Lakewood, Ridggefield, Prairie Grove, Island Lake, Wauconda, Illinois. How Much Will Driveway Salt Affect My Lawn? We serve Algonquin, Crystal Lake, Barrington, Fox River Grove, Cary, McHenry, Volo and Woodstock Illinois.